The white supremacist who killed three people outside Jewish community facilities in Kansas on Sunday has been charged with murder, the New York Times reports. 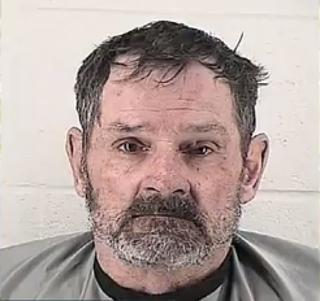 Frazier Glenn Miller, a former Ku Klux Klan grand dragon known for his anti-Semitic and racist views, was charged with one count of capital murder and one count of premeditated first-degree murder, authorities announced at a news conference. The charges mean that he is eligible for the death penalty if found guilty. U.S. Attorney for the District of Kansas Barry Grissom is also seeking federal hate crime charges and will present his evidence to a grand jury soon, doubling the chances that the 73-year-old from Aurora, Mo., will face the death penalty. On Sunday Miller, who also goes by the alias “Frazier Glenn Corss,” allegedly opened fire in the parking lot of the Jewish Community Center of Greater Kansas City campus, killing 14-year-old Eagle Scout Reat Griffin Underwood and his 69-year-old grandfather, William Lewis Corporon. Miller then drove to an assisted living facility, Village Shalom, shooting and killing 53-year-old Terri LaManno, who was visiting her mother, the Times notes. None of the three were Jewish, according to the Times, but authorities are looking at the intent of the hate crime, not whether a person from the intended group was actually harmed. Miller reportedly shouted “Heil Hitler” from the squad car after being arrested.